Aren’t these peppers pretty? I bet you want to plant this in the garden. I did it last year but it seems that it needs a lot of space to grow healthy. These peppers belong to the species Capsicum. The taste is sweet and crunchy, you can eat it fresh cut on salads. The reason why this type is not spicy is because this sweet peppers does not produce capsaicin, the chemical responsible to create that burning sensation in your mouth. 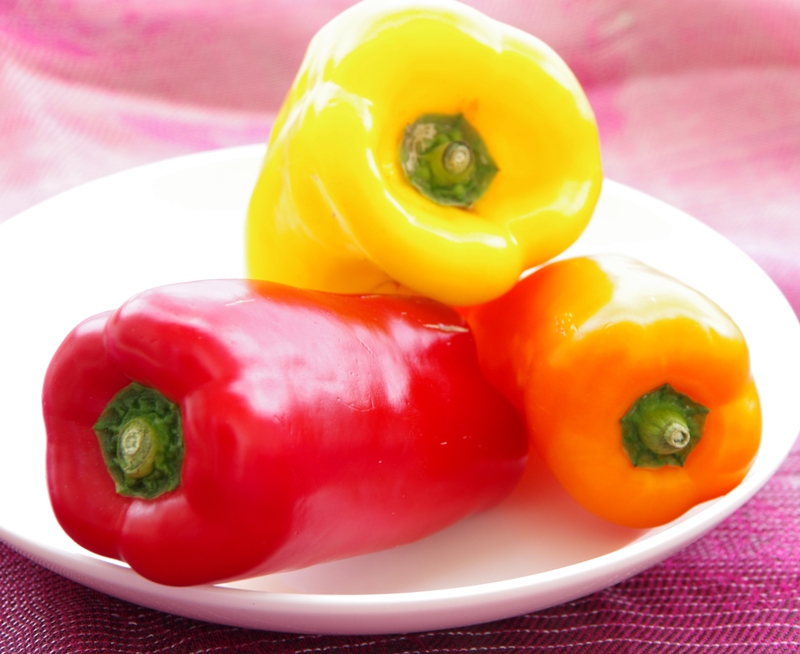 Peppers have different names in different areas, sweet peppers (North America), Paprika (Europe), Pepperoni (Switzerland, Italy) just to name a few. These capsicum peppers can help keep you young and healthy as they are rich in antioxidants and vitamin C. The prehistoric remains of the existence of peppers were to be found in Peru. They were then cultivated in Central America and northern South America. The Spanish colonials then carried them to Spain in 1493 and were brought to other European, African and Asian countries. Today, China is the world’s largest pepper producer, followed by Mexico and Indonesia. Here are recipes that uses bell peppers that you can try sauteed beef and beansprout and sweet and sour fried tilapia. April 26, 2014 in Food Photography.